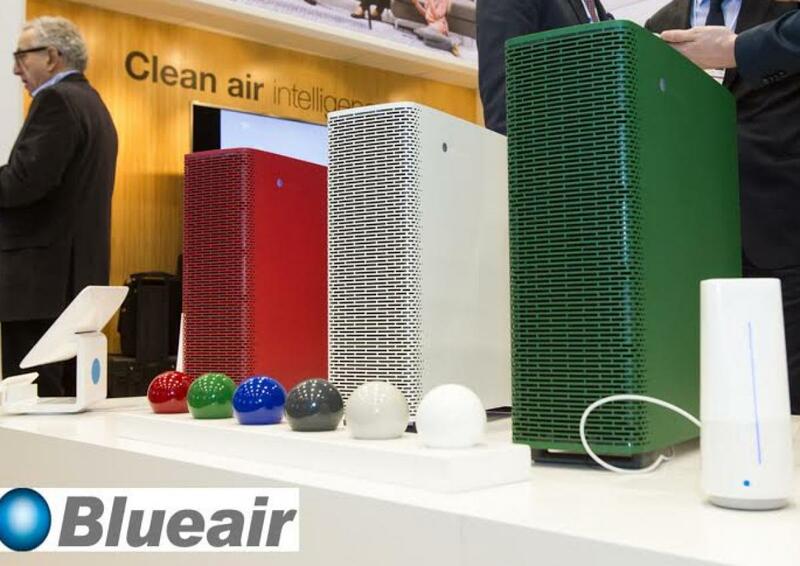 The Blueair booth at IFA Berlin 2015 consumer tech show got recognized as a mecca of cleaner, healthier air as the company showcased its biggest-ever portfolio of air purifiers and related technologies. Blueair, the world’s leading indoor air purification specialist, unveiled its newest trailblazing Classic, Sense, Pro and Blue air purifiers as well as the 'Aware' air quality monitor and 'Friend' mobile App technologies that move residential air cleaning into the Internet of Things. Eyeing the demand for air purifiers in urban cities in India, Blueair has recently launched its operations throughout the country. Post IFA 2015, all the world class products are expected to hit and charter the Indian market soon and cater to the various domestic and business segments of Indian society in the future. “Blueair is on the cutting edge of indoor air cleaning with our products being used by individuals, government agencies and businesses including Fortune 500 companies. The IFA Berlin 2015 expo is a great staging platform for our products”, remarked Bengt Rittri, founder and chief executive office of Blueair. Mr. Rittri said independent testing had demonstrated Blueair air purifiers can remove practically all particles and viruses down to 0.01 microns. Blueair air cleaners offer the most efficient clean air delivery rate according to organizations such as North America's AHAM, the leading trade association for the home appliance industry, and the official Chinese Consumer Protection agency. “Visitors to the Blueair booth discovered how we enhanced user health and wellbeing in world a world where indoor air can be up to 100 times more polluted than the air outside,” said Mr. Rittri. He noted it is not just out door pollution such as PM2.5 entering homes and workspaces that contaminate indoor air, the regular use of household care products also build up unhealthy levels of airborne pollutants, especially in modern tightly-built, energy saving homes. Blueair’s new technologies embrace numerous intelligent functions that warn consumers when their indoor air is becoming polluted and turn on or adjust the speed of an air purifier. Blueair’s connected system comprises three components: A smart, powerful and cool looking indoor air purifier, a standalone air sensor and a newly developed App for Apple and Android phones and other mobile devices, including the new Apple watch. WHO recently put the air pollution cost in Europe in 2010 alone at a staggering US1.6 trillion as a result of the approximately 600,000 deaths and diseases it caused. Over 90 percent of citizens in the European region are exposed to annual levels of outdoor fine particulate matter that are above its air quality guidelines, according to WHO. And a recent study by researchers from the University of Colorado at Boulder found the dust in our homes contains an average of 9,000 different species of microbes.